Books recommended for your step by step progress to reawaken: Top 7 Steps. You can move around the steps and work on any one; however, progress does depend upon doing all the steps. To begin your understanding of emotional responsibility, read The Secret of Maturity, Third Edition or the newest version, Secret of Maturity, Fourth Edition. To advance your understanding of emotional responsibility, read Garden. If you want to focus on your attitude and emotional responsibility, then read Attitude Is All You Need! Second Edition. If you are stuck in drama games as a lifestyle or if your family is stuck in a cycle of dealing with social services or the criminal justice system, then read Garbage Rules. This book is also appropriate for those in early recovery, self-help, and 12-step groups. Professionals who want to advance their counseling skills regarding emotional responsibility should read both Garden and Not. Coping and problem-solving skills are needed at every stage on the path of returning to sanity. We are not born with these skills and few of us have been formally taught them. Therefore it is logical and practical to pursue a more complete understanding of them. Stress for Success, Second Edition will help you to learn how to make stress work for you instead of against you. Breathe will give you easy and simple exercises to instantly calm and center yourself in any situation. Garden will teach you advanced coping skills that you can practice until they become habits. Problem Solved! 3Rs will help you to master problem-solving skills using a tried and true system. World Within: The Inner Life will teach you about your inner life and how to make it work and keep it working positively and productively. Not addresses the underlying problem why coping and problem-solving fail. The third step on the path to sanity is to recognize ego as the problem in all things. To begin to understand how ego is your problem, read Ego. This book requires you to be aware of your self-talk (inner dialogue). To become more aware of your self-talk, first read Garden. To support and reinforce the work you learn to practice in Ego read both What’s Your Story? and Journal Journey from Ego. To gain more insight into the false beliefs and thinking errors of self-esteem and ego, read Planet Earth: Insane Asylum for the Universe, Second Edition. To understand ego in social relationships, read Games Ego Plays. To develop insight into ego and skills in spotting ego, read Ego Playground. Learn how you are not your self-talk by reading Ego. Strengthen your understanding of your original nature by reading Self: Who Am I? Strengthen your understanding of your identity by reading World Within: The Inner Life. Attitude Is All You Need! Second Edition will help you to develop thinking skills in relation to your attitudes. Discovery Demands 5TP will help you develop your perspective-taking skills, which will empower you to be able to see more sides to any issue or problem. Garden will teach you thinking skills from a CBT & REBT perspective. Not addresses a specific and pervasive thinking problem (no-ting). Planet Earth: Insane Asylum for the Universe, Second Edition will help you to recognize self-defeating belief systems. We’re All Insane! Second Edition will help you to understand and apply General Semantics principles to the development of your thinking skills. World Within: The Inner Life will teach you about dialectics, duality, triality, The 5 Thinking Positions, and advanced thinking skills. These books support and reinforce your learnings about emotions, ego, and self in various ways. 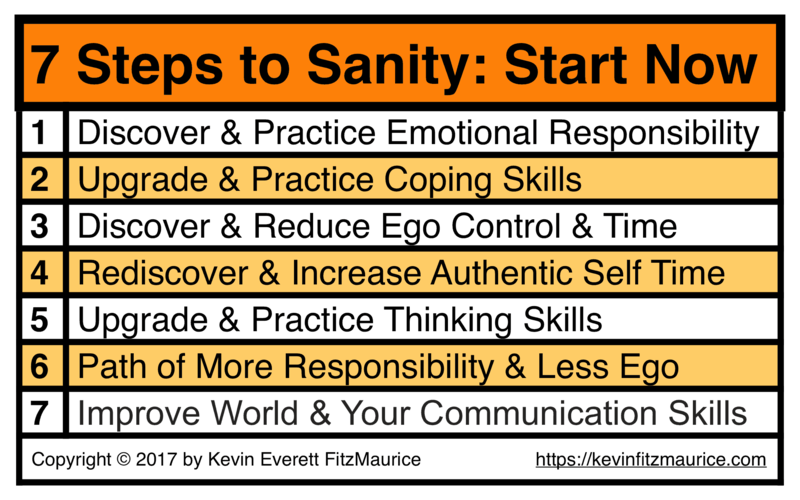 All of these ways will help you to stay on the path of increasing your emotional responsibility and lessening your time spent on ego. Planet Earth: Insane Asylum for the Universe, Second Edition will help you to face and surrender self-esteem faulty belief systems, thinking errors, and games. We’re All Insane! Second Edition will help you to understand and apply General Semantics principles to your practice of recognizing, removing, and replacing your ego. Other titles are collections of ideas and sayings that help you to understand all of these principles of the steps from different perspectives and through different expressions. These include Acid Test, Anything Goes, Something For Nothing, and books in the 3D: Daily Dose of Discernment series. Planet Earth: Insane Asylum for the Universe, Second Edition will help you to face and surrender socially accepted insanity. How To Govern Anything is for those who want to discover and practice a saner system of governing any size organization or country. Carl Rogers, Control Freak is for professional counselors interested in applying Carl Rogers’s main technique. Share, Encourage & Support: Please help others to recognize and walk the path of emotional responsibility and ego reduction by recommending our books and practices. Thank you. While not convenient, it is possible to read FitzMaurice’s books in other languages on your Kindle Paperwhite or Kindle (7th Generation or later). 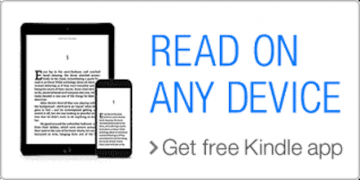 For more information, visit Kindle Paperwhite Support.